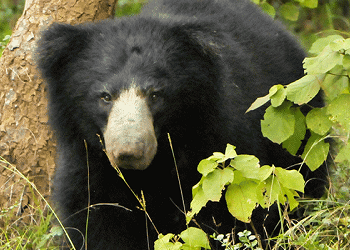 We offer expertly guided wildlife tours to the bio-diversity hot spots in Sri Lanka. 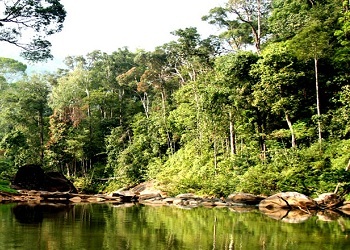 The Sinharaga forest reserve is a UNESCO World heritage site harboring endemic flora and fauna. The lungs of Sri Lanka, this forest is huge and covered with a rich forest cover. 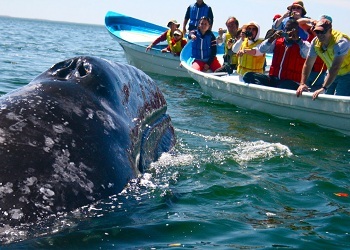 Our package helps you capture the giants in the land, the elephants and the ocean, the blue whales. We offer camping, trekking through the woods and other fun filled activities to keep you engaged and help you have a memorable holiday in Sri Lanka. After breakfast proceed to Sinharaja (Sinharaja rain forest is a UNESCO World heritage site, The last viable remnant of Srilanka’s tropical lowland rainforest spanning and area of 18900 acres is located within sabaragamuwa and southern provinces, of the south west lowland wet zone of Srilanka. Sinharaja is bounded by rivers on three sides. This is home to over 50% of Srilanka’s endemic spices of mammals and butterflies as well as various kinds of insects, reptiles and rare amphibians. Guests are low in number and mostly naturalists. Entry is by permit, available in forest department of Colombo.) Once at the comforts of your hotel rest and relax. Stay in the hotel in Sinharaja. You are based in the midst of Sinharaja. You can enjoy bird watching, camping, explore rainforest, walking in the jungle and of cause you will have an unforgettable experience in the jungle. Stay overnight in the hotel in Sinharaja. After Breakfast proceed to Udawalawe national park (This is located 200KM south-east of Colombo city and is a major eco-tourism attracted destination. Its most famous for the many Elephants that live there (More than 350) It is not unusual to see whole herds of adults and young elephants feeding or bathing and playing in the water plus this park is home to buffaloes, water monitor lizards, sambar deer, monkeys and leopard as well as thousands of rare birds. You will undoubtfully have a blissful memory after this safari). 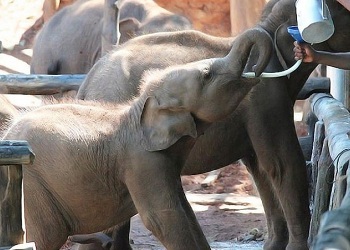 During the day drop by the Elephant Transit Centre, where orphaned and injured elephants are cared for until they are able to return to the park. Then proceed to Yala. Stay overnight in the hotel in Yala. After early breakfast go for an early morning jeep safari at Yala national park. 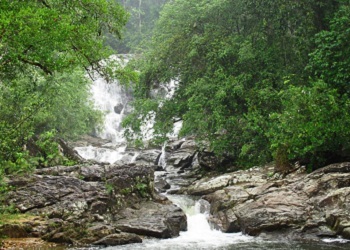 (This is the 2nd largest national park in Sri Lanka. 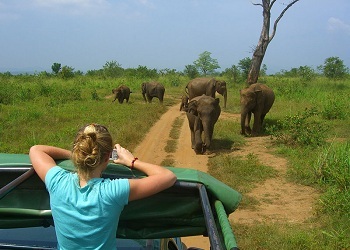 of all the national parks in Sri Lanka this gives the best opportunity to witness Sri Lanka’s broad variety of wild life. colorful painted stork in troops are seen perched at the shores of lagoon where the crocodiles too have chosen to doze off. lovely fantailed peacocks in their resplendent blues and greens parade about amidst the woods where monkeys hang and leap. in the bush jungle are the Elephants crossing the tracks and wondering off in to the thorny scrub jungle is the star attraction of the park.) You can have a top class wild life experience at Yala. 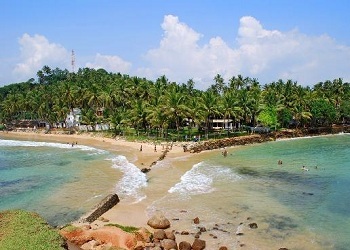 After breakfast, proceed to Mirissa In the deeper waters, you will spot the blue whales travelling in groups. As you venture further out are the sperm whales that travel in solitude. This makes Sri Lanka arguably the best place in the world to sight both blue and sperm whales together. Its breathtaking sandy beach pretty much transforms your dreams of a tropical paradise in to and everyday reality. You can enjoy Sri Lanka’s best and most stunning sunset and sunrises. Stay overnight in the hotel in Mirissa. We suggest you break the journey to explore the local wonders of the UNESCO World Heritage Site of the 17th century Dutch fort. 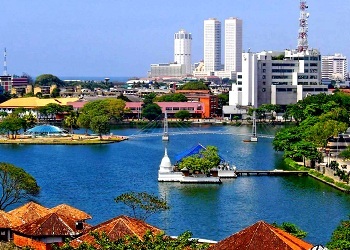 The ancient port city of Galle is Sri Lanka’s oldest living city and retains a unique old-world atmosphere. Get immersed in the old colonial feel in this maze of cobbled pathways lined by petite town houses. 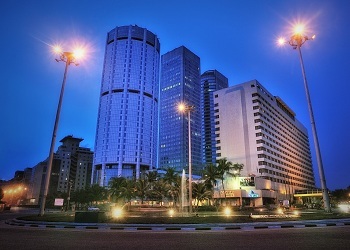 Then proceed to Colombo then to indulge in some shopping whether it is value for money clothes or impressive antiques.